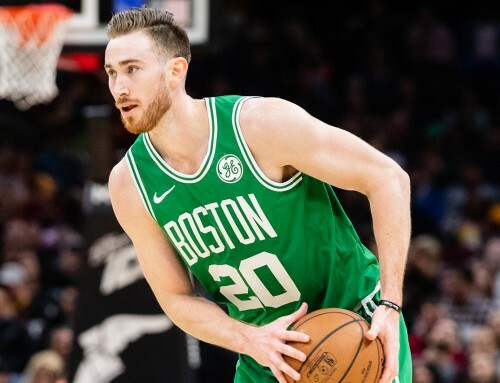 The 2017 NBA offseason brought with it one of the most difficult decisions of Gordon Hayward’s life, and after several days of thinking, G decided to head to Boston and join the Celtics. 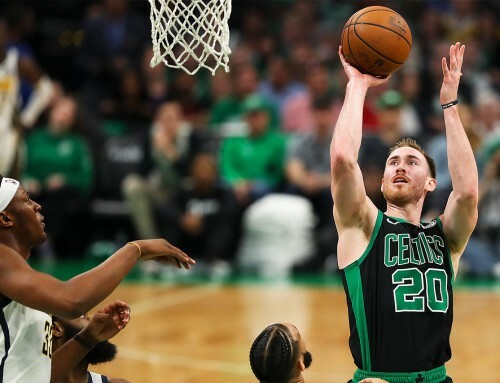 He announced as much in a post to The Players Tribune, citing his longstanding relationship with Celtics head coach Brad Stevens, who recruited and coached Gordon at Butler University, as a motivating factor for his move. Of course, in choosing to go to Boston, Gordon leaves behind the only NBA team he’s ever known in the Utah Jazz. Over a seven-year career in Utah, Gordon saw the best and worst of the league. 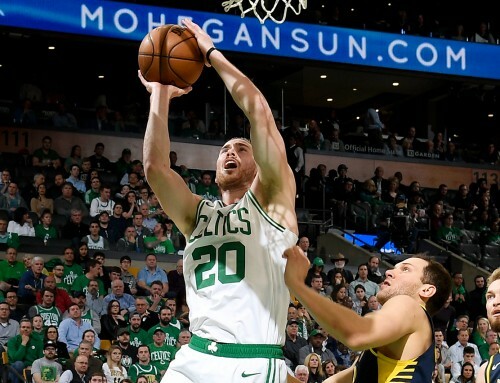 From playoff contending as a young player still trying to find his way in the NBA, to growing as a player while his team struggled, to an All-Star who played a large part in getting the Jazz franchise back into contention. G won’t soon forget what Utah meant to his growth as a player and a person and the Jazz thanked him for all that he did with the franchise. So pumped that Gordon chose Boston. I live in New Hampshire and will make an effort to get to the Garden this season to watch him play. Been a big fan since finding out he streamed SCII back in 2011. It has been a thrill to see Gordon get better and better as a basketball player. It will be truly special to see him and President Brad Stevens take the Celtics to banner 18.
continue to follow your career as a Celtic, even though I still gotta root for my Jazz. I hope you continue being the great NBA player and teammate, great husband and father, and great person in the community you were in Utah. I’m sure you’ll continue your excellent legacy in Boston. I’m definitely a Jazz fan forever, but again, much respect and best wishes to you and your family going forward! I am a huge jazz fan and was heartbroken that you left but understand why you decided to leave. Thanks for the 7 great years you gave us and good luck in Boston. Know that the majority of people I know respect your decision and the mean comments are coming from the minority. I also am sorry for all the mean comments your wife got. Hope get a title and that you meet the jazz in the finals in a few years and that the jazz win. Gordon, I’m a big fan. I hope you do well in Boston. My only constructive criticism is I wish you had been more transparent with your decision to leave so Utah would have more options to explore with the free agent market. That time between the “leaked” announcement and when you made it official killed the Jazz. Again, good luck in Boston. 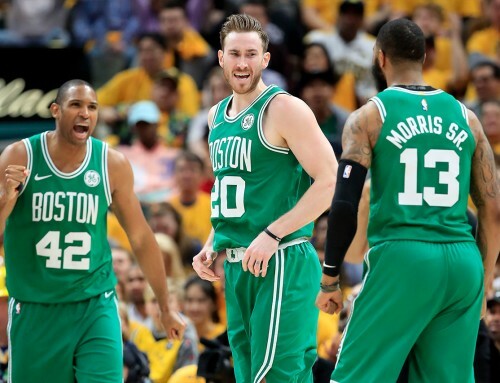 Gordon Hayward I am so excited to see you in a Celtics Jersey. 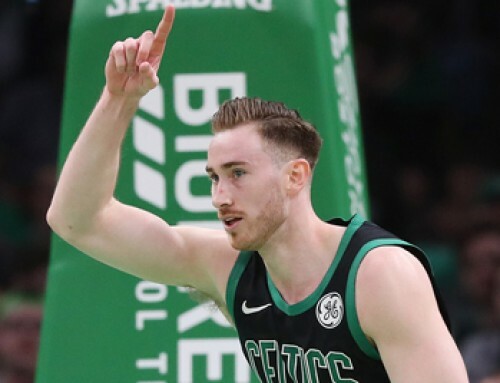 When you step into the garden for your very first game and look up and see all those banners and all those fans cheering for you. Then is when you’re going to fully realize the decision you made. Your heart will tell you if you made the right choice. I can’t wait for that day to come for you. I would love to welcome you to the Boston Celtics. Where dreams do come true. You might feel pressure from the outside. Celtics fans know your a incredible athlete and one day you will be a Boston Celtics Hall of Famer. Good luck at everything you do. Wish the best for you and your beautiful family.